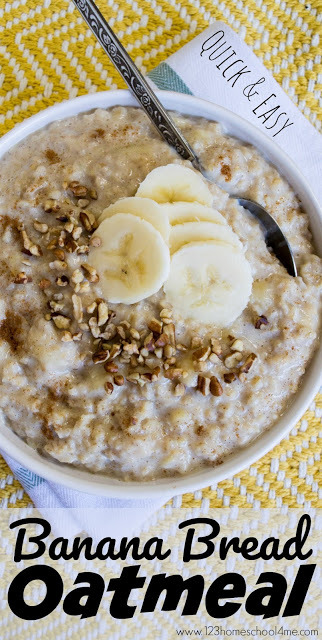 You are going to love this easy and Quick Banana Bread Oatmeal Recipe! It is a delicious start to your day! 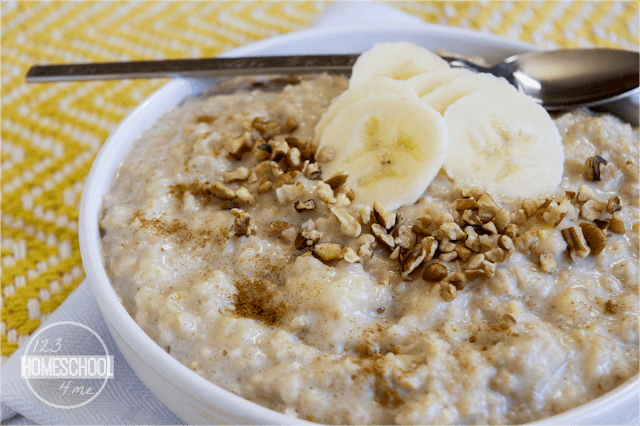 This Quick Banana Bread Oatmeal Recipe is an easy-to-make breakfast recipe that is sure to be a favorite with your family. It tastes so delicious kids will hardly realize it is healthy! 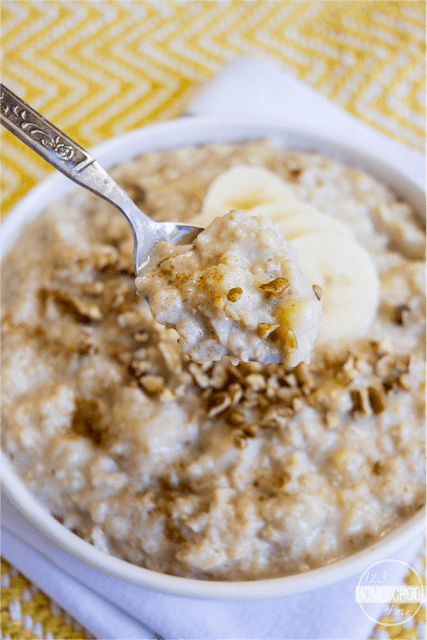 This is sure to become your families new favorite breakfast recipe! It is quick, easy, and tastes just like yummy banana bread only healthier! 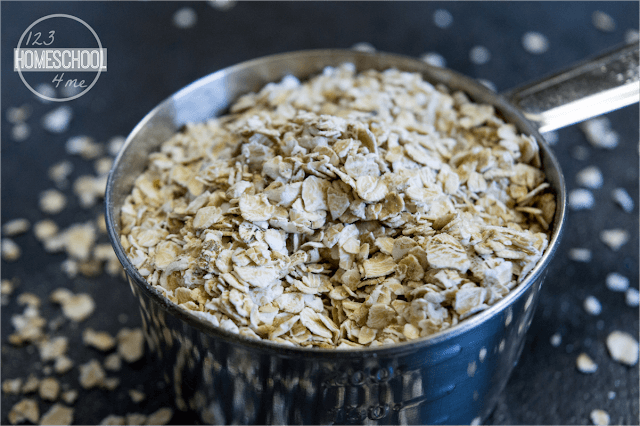 Oatmeal is such a good-for-you hearty breakfast that will send your kids to school ready to learn because they won’t be bothered by the grumbling of their tummies or a slump in blood sugar mid morning. 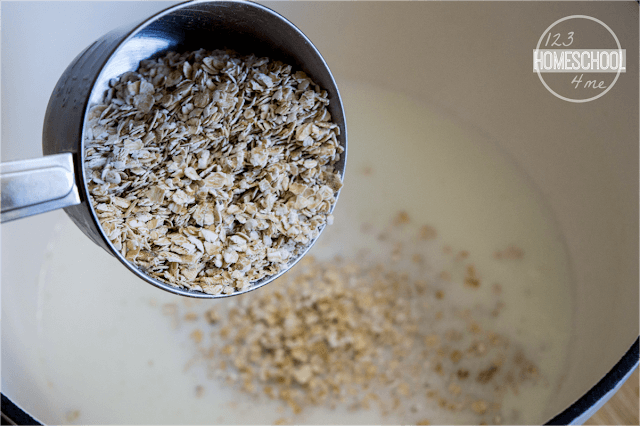 You can sweeten your oatmeal any way you like, but we like to use healthy, natural ingredients. 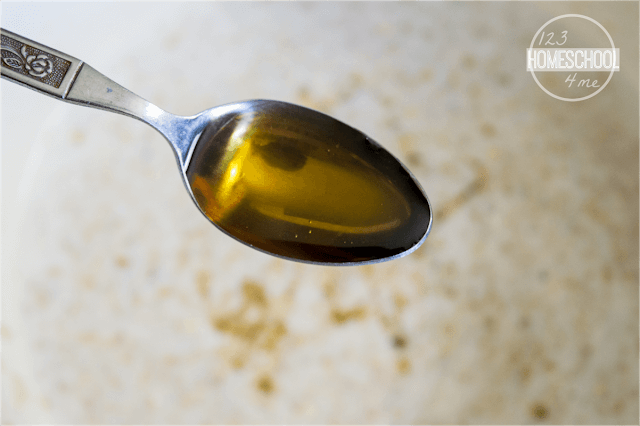 So we use 2 tablespoons pure maple syrup and 1 tablespoon honey. You can use one, both, or brown sugar if you prefer. Stir in 1 teaspoon cinnamon and 2 sliced bananas. Continue cooking, stirring occasionally, until the oatmeal has thickened. Just about 3 minutes. Serve in bowls with additional sliced bananas, chopped pecans, and additional cinnamon. 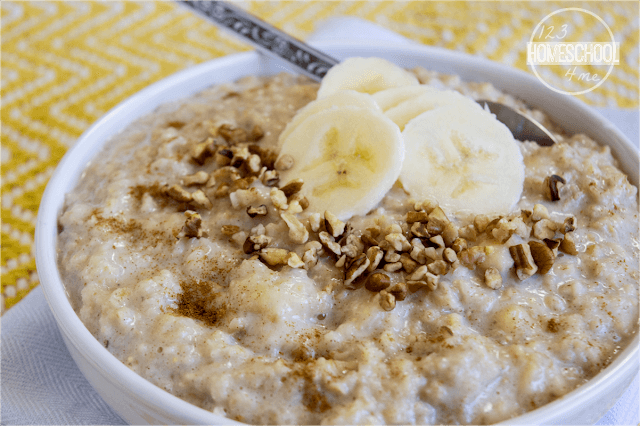 This thick and creamy oatmeal recipe is delicious! 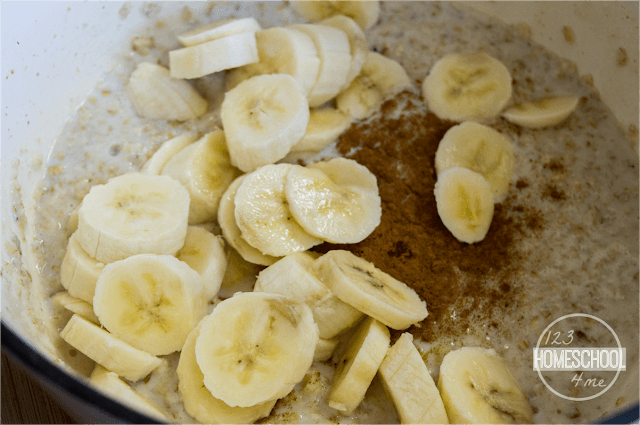 It truly tastes like banana bread, but healthier and way quicker to make! How good does that look? Plus it is healthy too! 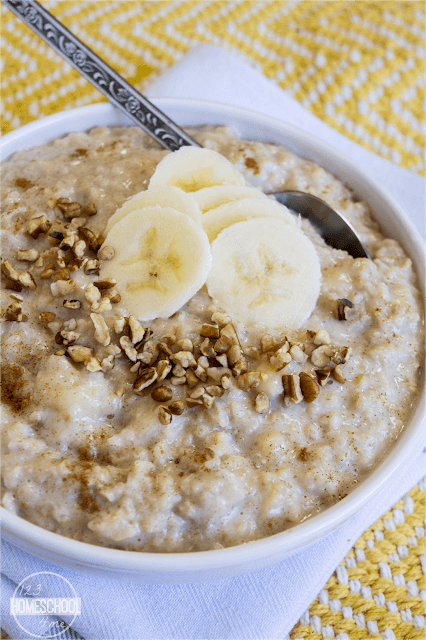 This Quick Banana Bread Oatmeal Recipe is so easy to make and delicious. It is so yummy kids won't realize it is healthy too! Bring milk to boil in saucepan over medium high heat. Stir in oats, continuing to boil as it starts to thicken. Continue to stir occasionally as you add in maple syrup, honey, cinnamon, and sliced bananas for about 3-4 minutes. Serve topped with additional banana and pecans.